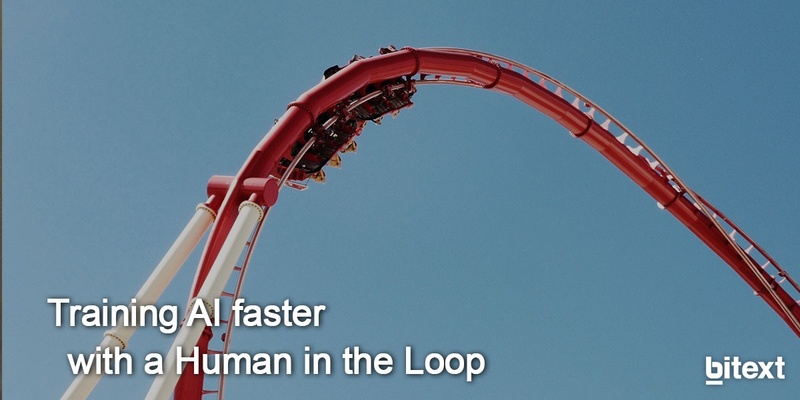 Gartner suggests companies working on AI and ML should employ human-in-the-loop crowdsourcing as an enabler of AI solutions since this approach gives a wider access to problem solving, model training, classification and validation capabilities, in comparison with traditional ML processes. Therefore, when rules are too complicated for automation or the ML algorithm cannot get more accurate results is time to resort to humans. 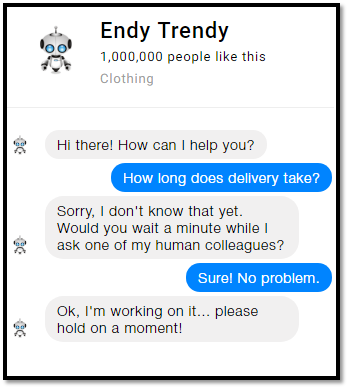 If you AI isn’t trained for a request yet, it will let the customer know it’s getting help from a human. Your team will be on the stand-by ready to moderate in such situations. This way, your sales representative will get a notification from your bot on your channel preferences. Those human agents will help their bot co-worker by answering the question. Then, your bot will release the answer to the customer and even confirm whether it was helpful or not. 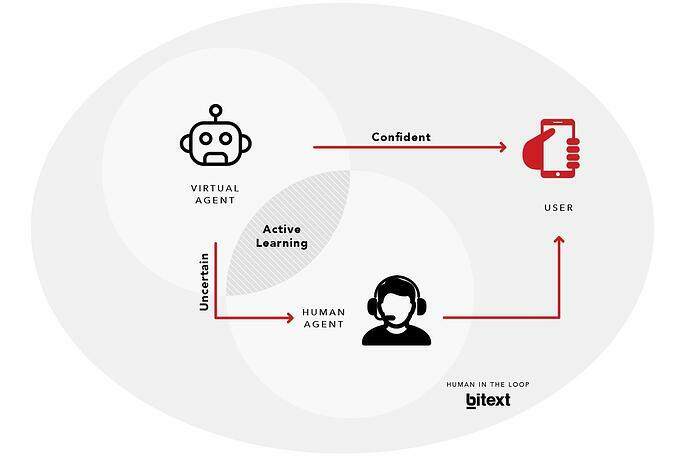 After that, the bot confirms that the question and answer should be retained as training and your bot automatically learns more utterances for the newly-trained intent via Bitext Artificial Data Generation service. Customers will love it and your employees only had to help once since next time the whole thing will be automated without needing help from another human agent. That’s how your AI training will be driven from specific users’ needs and how it will take less effort to implement. After this process, some tests must be made to see if a model is properly working, especially when the algorithm must face more complex issues and may not be confident enough to make the right decision on its own.